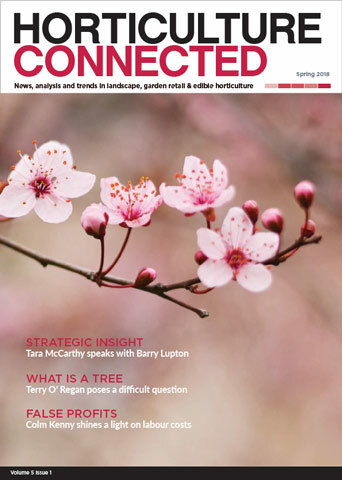 3 Issues of Horticulture Connected Print Journal in the Spring, Summer & Autumn/Winter 2018. 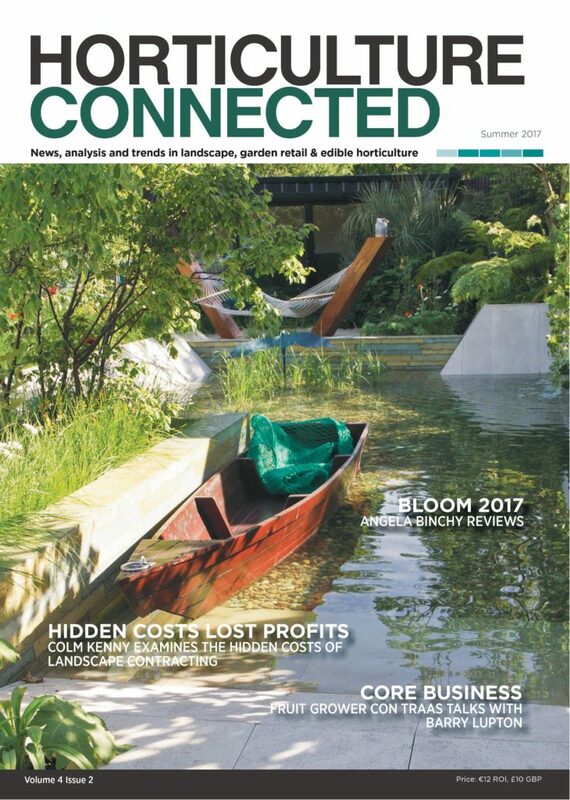 3 Issues of Horticulture Connected Print Journal in the Spring, Summer & Autumn/Winter 2017. Single Print Advert in the Supplier & Service Directory section of the Horticulture Connected Magazine. 3 Single Print Advert in the Supplier & Service Directory section of the Horticulture Connected Magazine in 2017. 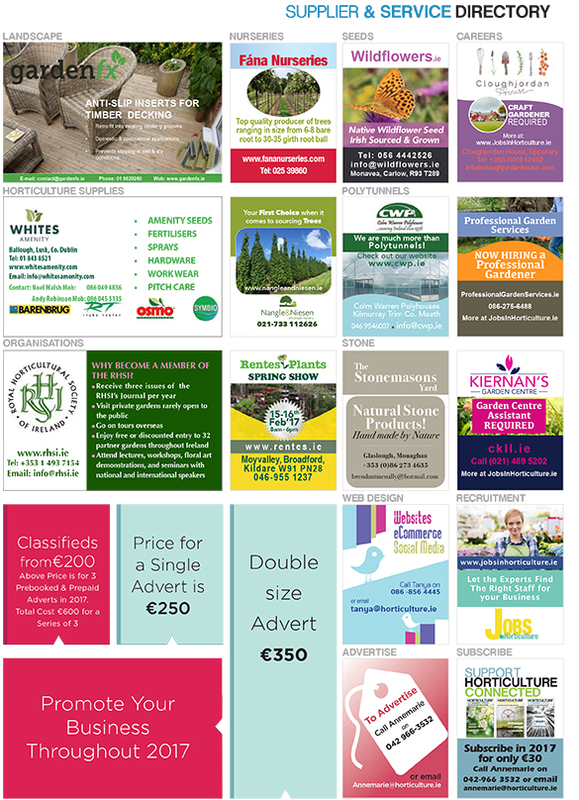 Double Print Advert in one issue of the Supplier & Service Directory section of the Horticulture Connected Magazine.